Friday 9th March 2018	"
The official launch of National Samosa will take place on Monday 12th March 2018. The highly anticipated launch will be open to the public where they can enjoy a cup of tea and a tasty samosa… or two. A live samosa-making demonstration will also take place at the event where people can watch and learn how to make these delicious delights at home. Donations can also be made on the day- proceeds of which will go to this year’s Leicester Curry Awards charity partners LAMP and COPS. Photo, video and interview opportunities will be available. There’s one for apple, pies, coffee, stilton and even bread but now it’s time to shine the spotlight on the crispy samosa. The Leicester Curry Awards have launched this national event which hopes to encourage everyone to try, taste and enjoy these savoury bundles of joy from 9-13 April. All the money raised will be split between two charities that are being supported in this year’s awards; Leicestershire Action for Mental Health Project (LAMP) and Care of Police Survivors (COPS). The small but mighty snack packs a punch and is a fried street food dish traditionally stuffed with a savoury filling, such as spiced potatoes, onion, peas or minced lamb. Although popular with the South Asian community, the triangle-shaped delicacy is said to originate from the Middle East and was eaten by travelling merchants. It is likely that this is how the tasty parcels made their way to other parts of the world including India and Pakistan ultimately leading to the creation of the humble South Asian snack we know today. The more-ish dish, can be found on curry menus all over the UK if not the world and have garnered an immense amount of popularity. The aim of the week-long event is to use it to draw attention to the rich culture and food heritage of South Asia. The organisers are currently looking for partners in various cities to help host the event nationally. If you can support the event, please get in touch on 0845 500 5052. 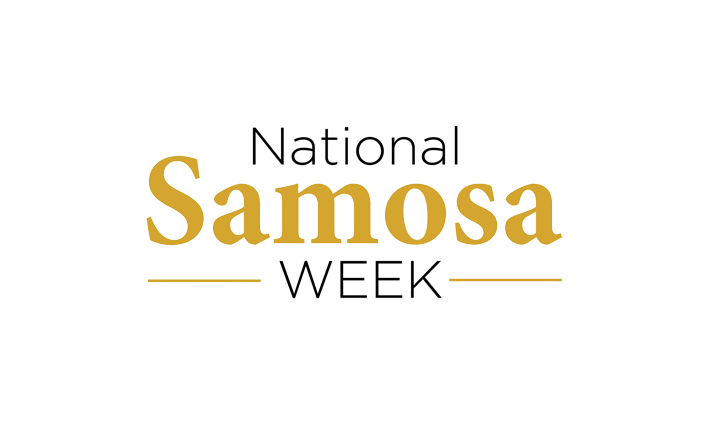 National Samosa Week was launched by the Leicester Curry Awards in conjunction with Pukaar News, a UK-based news agency and will run from Monday 9 – Friday 13 April 2018. The aim of the Leicester Curry Awards is to bring together the local community and restaurants that make up the Indian foodie scene across the city and county. This year they are supporting two charities, Leicestershire Action for Mental Health Project (LAMP) and Care of Police Survivors (COPS). All profits raised from National Samosa Week in Leicester will be shared between both these charities. The Leicester Curry Awards will take place on Sunday 22 April. For more information or to get involved, please contact romail@pukaarnews.com or call, 0845 500 5052.